Aaron Hicks' extreme platoon splits were a potential red flag dating back to his days in the low minors, when it quickly became clear that the lifelong switch-hitter was far better from the right side of the plate. He quieted some of those concerns at Double-A in 2012 by posting an .881 OPS as a right-handed hitter and an .828 OPS as a left-handed hitter, but unfortunately that progress from the left side of the plate failed to carry through to the big leagues. 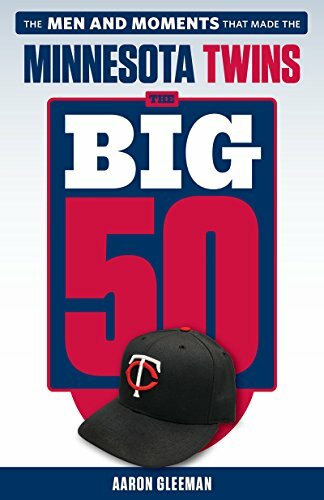 Hicks was lost as a left-handed hitter for the Twins, flailing his way to a .184 batting average and .552 OPS with a 67/17 K/BB ratio in 247 plate appearances. He wasn't especially productive as a right-handed hitter either, but by comparison his .224 batting average and .728 OPS from that side of the plate looked great. And so in the middle of his second MLB season, at age 24 and after seven professional seasons, Hicks has abandoned switch-hitting to bat exclusively right-handed. Switch-hitting is a tremendous asset for hitters, as it affords them the platoon advantage in every plate appearance and leads to a career full of favorable matchups. However, it doesn't do much good to be a switch-hitter if you're inept from one side of the plate and it's particularly useless if that side of the plate is where about two-thirds of the playing times comes from. 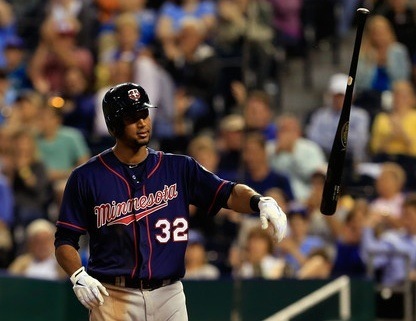 Hicks and the Twins were understandably hesitant to make the change, but at this point it can't really hurt. Hicks is a much different and much better hitter from the right side of the plate, where his swing is much more capable of doing damage and his approach revolves much less on coaxing walks from pitchers. However, it's hardly a guaranteed solution. For one thing his production from the right side has been nothing special thus far. Beyond that, even the mediocre production from the right side has come with the platoon advantage attached. In other words, if Hicks could be expected to post, say, an OPS around .750 as a right-handed hitter facing left-handed pitchers he should also be expected to post an OPS lower than .750--and perhaps much lower than .750--as a right-handed hitter facing right-handed pitchers. That's just how platoon splits tend to work and it's why plenty of questions remain about Hicks' ability to turn his patience into a strength and blend it with the power potential he showed in the minors. Hicks wasn't ready for the majors when the Twins decided to trade both Denard Span and Ben Revere in the same offseason and hand him the Opening Day center field job last season. Even now, 14 months and 450 plate appearances later, he doesn't look any more ready and the Twins deserve plenty of criticism for failing to collect any semblance of center field depth behind Hicks on the depth chart. They rushed him to the majors, putting him in a position to struggle, and then continued trotting him out there to fail over and over in large part because they couldn't be bothered to acquire any plausible alternatives. Hicks always had some sizable flaws as a prospect and it's possible that he would have struggled regardless of the timeline, but the Twins did him no favors then and letting him adjust to batting exclusively right-handed on the fly and in the majors is more of the same. Hopefully he can overcome it, get back on track, and become a solid major leaguer. He's only 24 years old, after all. Still, after 119 games of .194 hitting and shaky defense the prospect shine has vanished and the window for Hicks to work his way into the long-term plans is closing rapidly. He's not the first player to ditch switch-hitting--Shane Victorino did it last season, for instance--but I'm very curious to see how he adapts to same-side pitchers and an increased dose of sliders. 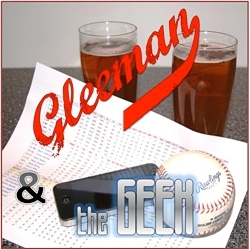 Topics for this week's "Gleeman and The Geek" episode included Oswaldo Arcia and Josh Willingham being ready to return, what the Twins will do with the No. 5 pick in the draft, how much time Aaron Hicks has left to show something, Alex Meyer and Trevor May doing well at Triple-A, biting someone's ear off, Glen Perkins' underrated excellence, Pat Neshek bouncing back in St. Louis, back-to-back Tinder dates, not having good stories any longer, and scouting college and high school players with special guest Jeremy Nygaard. Topics for this week's "Gleeman and The Geek" episode included the Twins' surprisingly decent first quarter of the season, management calling out Aaron Hicks through the media, Brian Dozier being one of the league's best players, Oswaldo Arcia going back to the minors, Chris Colabello turning back into a pumpkin, Kurt Suzuki proving to be a fine investment, and whether the Twins have found something in Eduardo Escobar.